Earlier this month, we celebrated my colleague Kim Marcus' 50th birthday. I opened a few interesting bottles, beginning with this white Savigny-lès-Beaune. 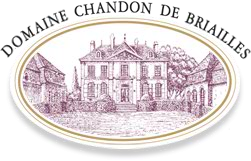 Chandon de Briailles is an historic Burgundy estate located in Savigny and owned by the de Nicolay family. In 1989, the family converted the vineyards to organic farming and 2005 was the first vintage entirely under biodynamic cultivation. The estate's vinification techniques include a lot of whole clusters for the red wines, extended lees contact for the whites and maturation in older oak barrels. Consequently, the wines are not showy in their youth and need time to reveal their complex aromas and flavors. The Aux Vergelesses '04 comes from a portion of the vineyard with poor sand and white marl soils. Broad and nutty, this Chardonnay offered apple, with a touch of lemon flavors, and freshness despite its leesy style. Pastry notes graced the finish. I rated it 89 points, non-blind, and it cost $32 a few years ago. WineSpectator.com members: Get scores and tasting notes for more recently rated white Burgundies, plus our quick list of Top Values among white Burgundy.